﻿Many companies fail to conduct a comprehensive Due Diligence Investigation (DDI) during the initial project planning phases. They risk issues such as project delays, unplanned costs and additional Commonwealth or State conditions that could be prevented by even the most basic investigation of the constraints the Mining Development Lease (MDL), Petroleum Lease (PL) etc. may have on it. What defines regrowth and which legislation is the most relevant to operations? Could the regrowth actually be protected under the Environment Protection and Biodiversity Conservation (EPBC) Act, but shown as being able to be managed under State vegetation legislation? The results might surprise you. Is a Weed of National Significance (WONs) survey required to make sure local government doesn’t enforce a biosecurity compliance order on the company? Will enacting that biosecurity order from the local government put the company in breach of State and Commonwealth legislation? - in NSW, there’s a good chance it will. What measures should be taken to ensure the company stays compliant? 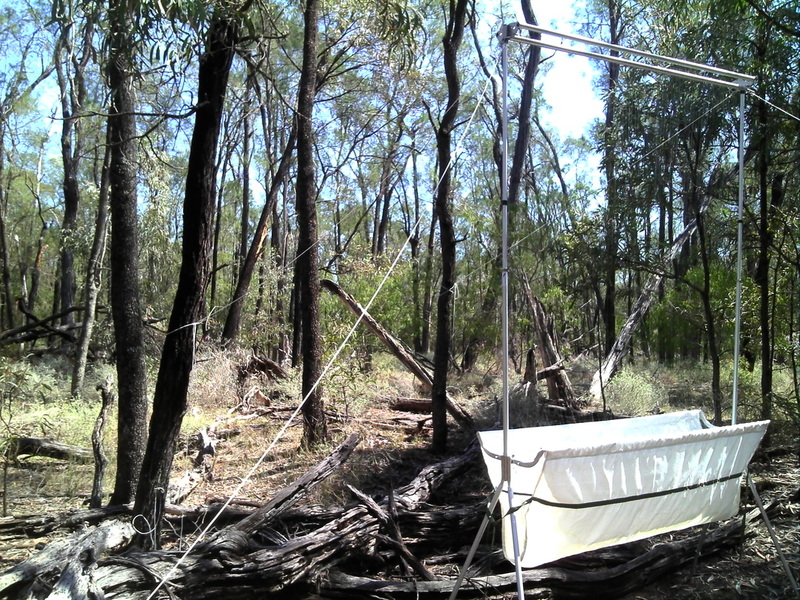 If the area in question is Category X vegetation and has a Property Map of Assessable Vegetation (PMAV) - Queensland only - does that mean any regrowth can be cleared with no legal implications? Not necessarily. With some types of vegetation (e.g. Threatened Ecological Communities; Matters of National Environmental Significance) Commonwealth legislation, and even local government laws, can override areas mapped as Category X. Will offsets need to be considered? 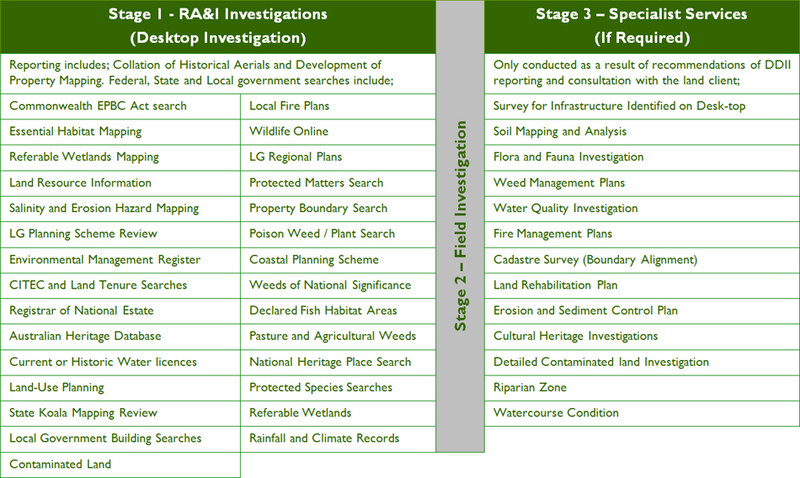 Has a desktop search been completed for Endangered, Vulnerable, Near Threatened (EVNT) species by accessing the Trigger Mapping, Essential Habitat, Wildlife Online, Species Profiles and Threats Database, Referable Wetlands, State Koala Mapping, Biodiversity Mapping, Environmental Report, Agricultural Land etc.? ​Has a check been completed for contaminated land? Was the area an old dump site or used as a property dump? Did the property have an old cattle dip site on it previously? - will this have safety / OH&S implications? Are there any registered or unregistered bores in the area of interest? Are there any water monitoring Stations or piezometers that need to be considered before development? Has a National Heritage Place search been conducted? Do those old buildings and structures on the area of interest have any Cultural, Indigenous or European Heritage significance? Are any listed on the Register of National Estate, Environmental Management Register or Australian Heritage Database. Is any of the vegetation on the property currently protected as an Environmental Offset Area? Has a baseline flora / fauna survey been completed? Has a basic vegetation ground-truth been completed to provide a cost-effective analysis of the issues likely to be encountered. This is a very cost-effective way of defining issues to be managed and for planning long term budgets. 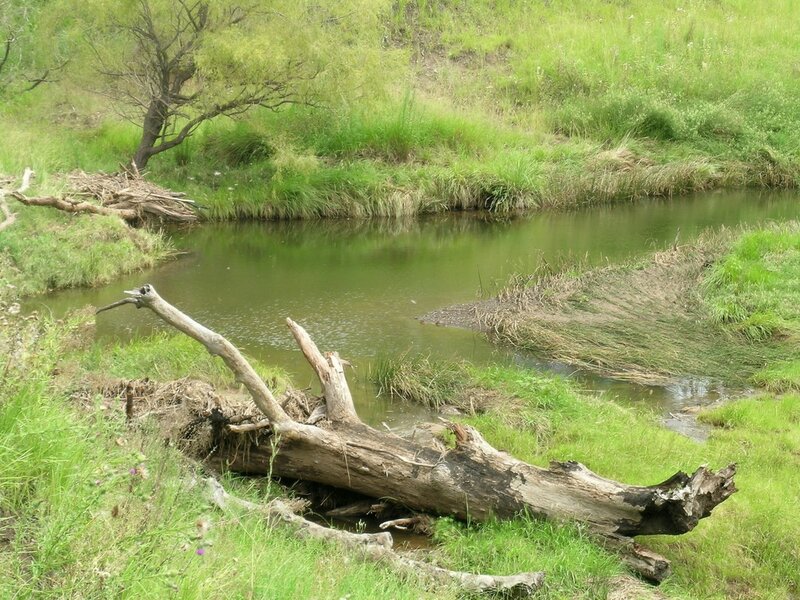 An initial quick baseline field survey for vegetation composition and structure, weed species and density, soil structure, erosion, riparian and watercourse condition, habitat, water quality etc. is invaluable in defining potential issues and providing baseline data in the event of a legal challenge to any one of those issues in the future. Is the area of interest identified on the salinity hazard mapping? Has an onsite review been conducted for surface salt, recharge or discharge areas and the proliferation of salt tolerant species? These questions all have answers that may affect the company’s bottom line, project timelines and budget. An initial small investment can save huge liabilities in the longer term. CROSSROADS Rural & Environment completes the full suite of Due Diligence Investigation services tailored to each client’s needs. We have ecologists, planners, environmental engineers and mapping capability, and agricultural specialists available to ensure you receive the correct advice. We also ensure we have personnel available outside of normal business hours should you require clarification on any issue. Before development, consider the possible consequences of not investing in a Due Diligence Investigation.